In September, the BLT submitted its completed application for accreditation from the national Land Trust Alliance Accreditation Commission. 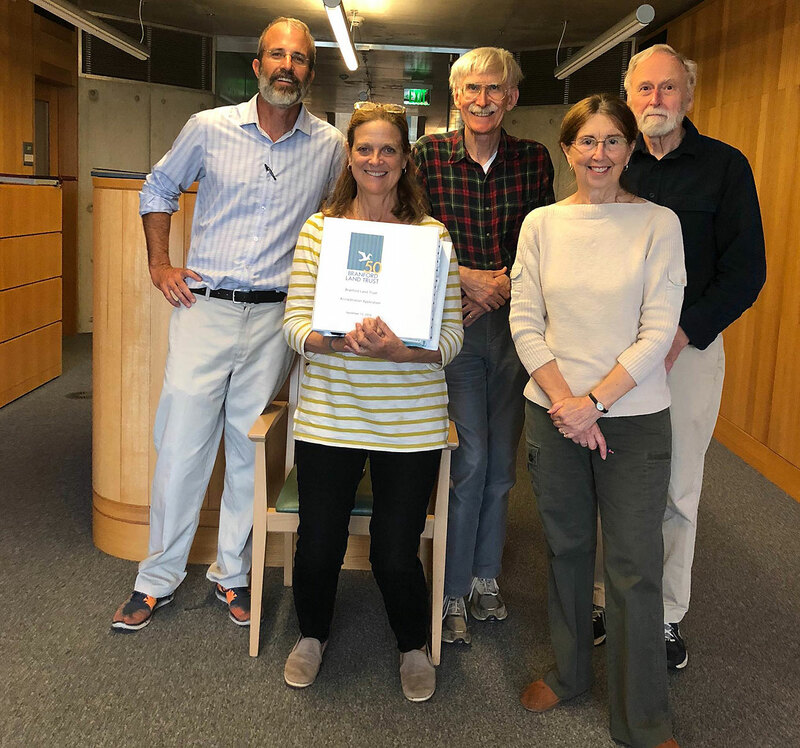 This two-year effort has involved incalculable hours by our Accreditation Committee (pictured), board members and volunteers, and included such efforts as bringing administrative, financial and property records up-to-date, and digitizing the 50 year inventory of the records of the organization. The Property Management team led efforts to revamp the naming and numbering of our Preserves to reflect geographic relationships, mark our property boundaries, and begin a system of annual monitoring for all fee and conservation easement properties. The Commission has accepted our application, and will be reviewing it over the next few months. The procedure calls for the review team to notify us of any questions they may have regarding our policies and procedures, and go over these in a conference call with the Accreditation Committee. The Commission will then make final recommendations, some for immediate action, others for long term goals. We should hear a final determination sometime in the summer of 2019. Accreditation by this national commission ensures the public that “the right systems and protocols are in place to guide the land trust into the future, no matter who is at the helm of leadership,” and put the BLT in a solid position to always meet our goal of public land conservation far into the future. Pictured: Pete Raymond, Bill Horne, Harry Merrick, Gaile Ramey, and Joan Merrick.